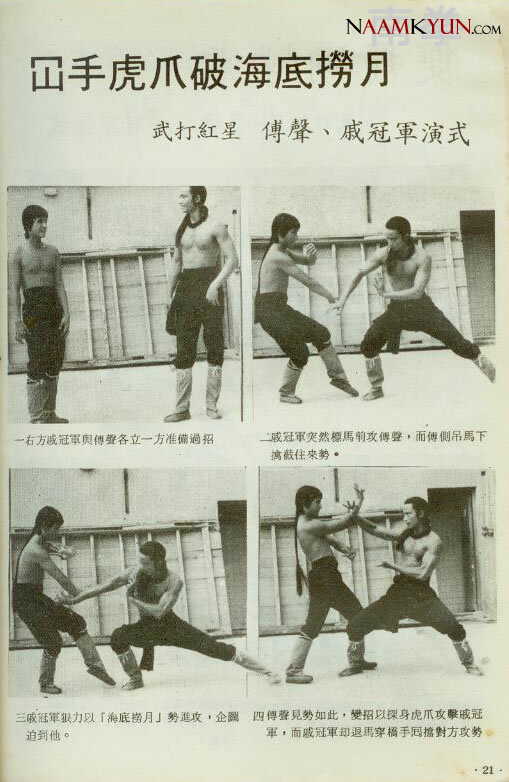 Fu Sheng was one of the favourite students of Lau Kar-Leung, Chi Kuan-Chun oth the other hand has mastered the Hung Ga curriculum under the guidance of Chiu Wai. I am no CLF expert, but i have to say that the aplications shown in this particular issue by these two gentleman do not seem to me be typical CLF techniques, but well, i might be wrong. Maybe a choreography from some of their movies? 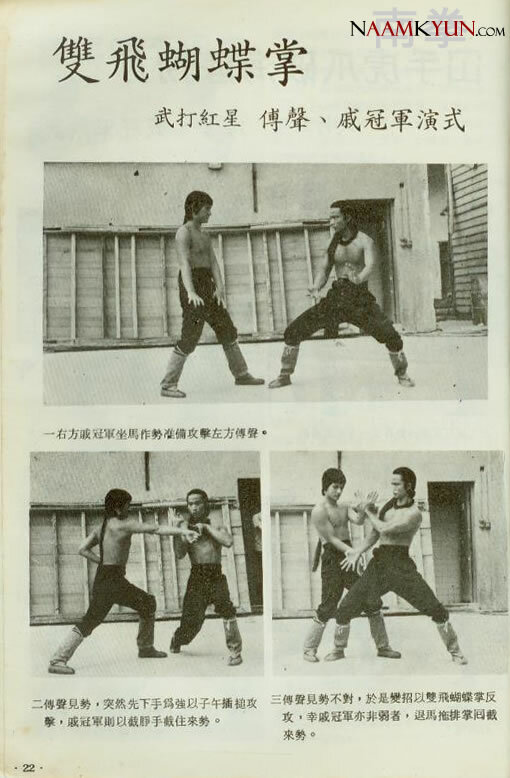 So or so, as a main character of The New Shaolin Boxers, Fu Sheng has definitely learned some Choy Li Fut as well. 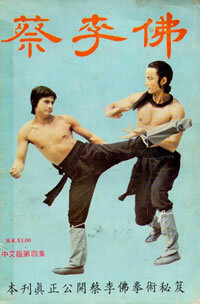 We might argue about the flavour, but well, it is a movie, and everybody loves Fu Sheng, right? See the training sequence below. Great article. Thanks for sharing and am looking forward to more goodness. Wow that’s definitely good stuff! Got me all distracted now at work lol. i got one form my friend Ivan as a gift, and managed to find 3 other issues later. i will scan them all and share the interesting articles online here!